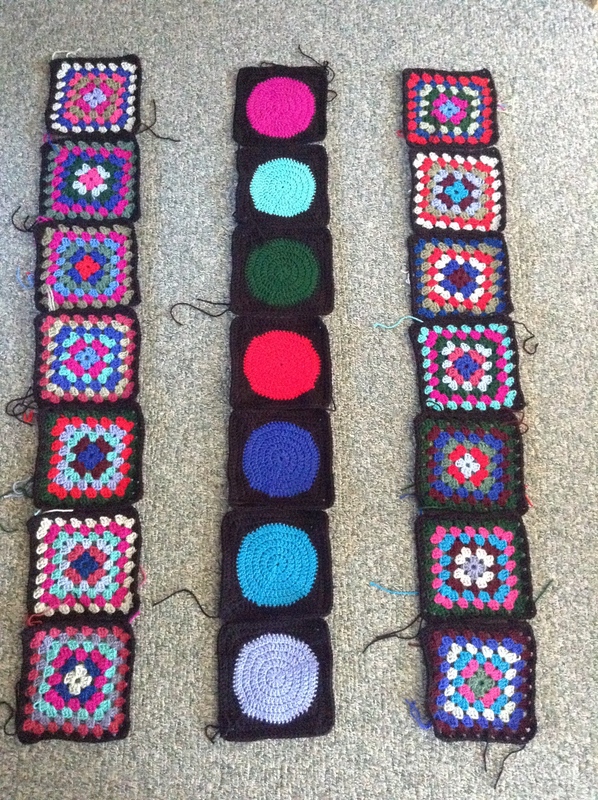 Thanks to Netflix, and also being a passenger in my car on the weekend, the black borders on the grannies and dot blocks have whizzed by and are now done. 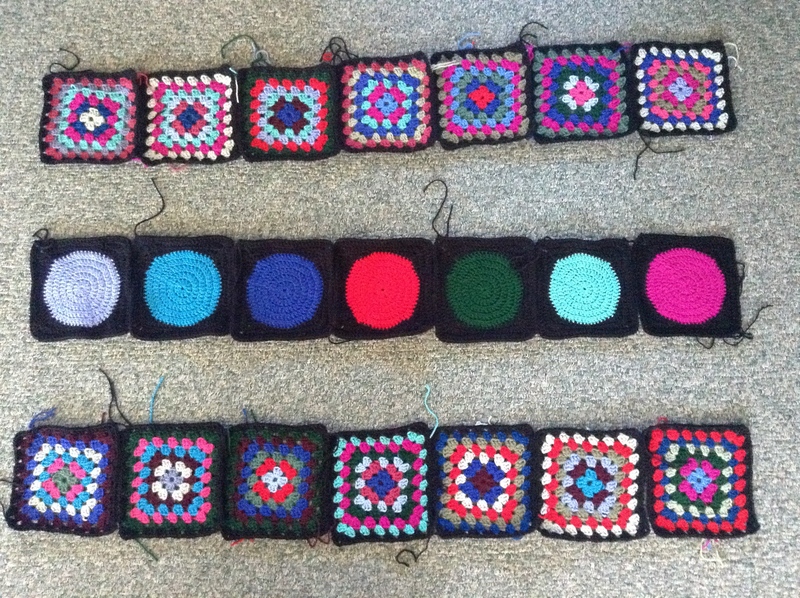 Twenty one blocks finished in no time at all! At least, it feels like no time. I put them on the floor in no particular order, just to admire them and consider my next step. I think I will make the horizontal stripe strip next, so I don’t have to face all that sewing yet. It’s been a nice at-home day today. It feels like a bit of an oasis of calm in an otherwise busy week, though I am going out later and have to make sure that I take some food for a potluck and also leave some at home for the boys. I changed the bamboo sheets over to flannel ones, as the nights are getting chilly and I’m not willing to close the window and turn on the heat yet. I’ve cooked a pot of black beans to make refried beans, and made a huge pile of tortillas. Next, guacamole. Shame I don’t have any fresh tomatoes to make salsa. Didn’t plan that too well. I took the bull by the proverbials today and synced and updated my iPad Mini. Really hoping that I don’t regret it. I know there have been a few issues with iOS9, so maybe waiting for 9.0.1 was a good move. Ds2 tried updating his iPod which was running iOS6! Hmmm, let’s just say he was iPod-less for a few days while trying to figure out how to fix the situation that arose. In the end, with the help of his younger brother, he worked out how to find the problem and restore it from an archived backup running iOS 8.4. He is now back to living in headphones and doing everything one-handed, as his iPod is like an extension of his body! Sigh!! Time to get back to the kitchen, which is warm and sunny – the family room where I’m sitting right now is in the basement and it’s cold down here. Happy crafting and talk to you again soon.